Is that a bowl of money?! 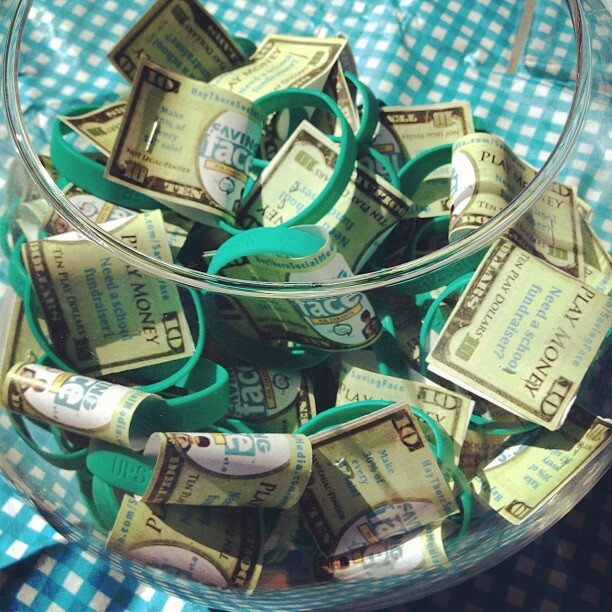 Well, sort of ☺ Each bracelet came with play money for the kids that carried an important message for parents. “Saving Face for Parents of Tweens” is being used a fundraiser for schools, youth groups and PTOs/PTAs. 30% of every $47 program sale goes back to the selling group. (Looks like you no longer need to just sell cookie dough or gift wrap to fundraise!) 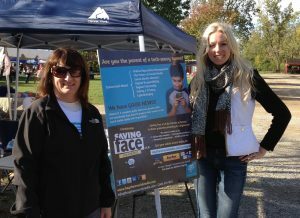 It was a productive day sharing the educational and financial benefits of Saving Face. What questions do you have about social media for your tweens? Please feel free to share your experience with us – the good, the bad and the ugly –as we can all learn. A big thank you to KidsLinked for hosting such a wonderful event! Saving Face for Parents of Tweens includes 7 instructional videos for parents covering topics like digital citizenship, cyberbullying, social media manners, and safety and privacy to name a few. 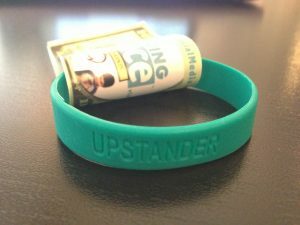 If you’d like to take a look, get a preview, and learn how to raise money for your child’s school, please visit here.